First announced for Xbox Live Arcade in November 2011, colorful platformer Alien Spidy was last said to be coming at some point in the fall after being officially delayed out of its original summer 2012 release window. An October 19 release date was rumored at one point, but a representative for the game informed XBLAFans that the date was a mistake. In any case, we’re hopeful that Enigma Software’s side-scroller will hit the Xbox Live Marketplace this year, mostly because we’ve enjoyed playing it not just once, but twice. Signal Studios, the team behind the Small Soldiers franchise of XBLA games, received a rare honor at Microsoft’s E3 2012 press conference: its next Xbox Live Arcade title was showcased on gaming’s biggest stage alongside upcoming retail blockbusters. Ascend: New Gods is a free-to-play action game that will have players brutally burning and bludgeoning their way through its levels towards the end goal of confronting and besting gargantuan titans. Fans of trolling can look forward to screwing around with others’ game worlds through Ascend‘s asynchronous multiplayer. Players can also elect to help out their fellow would-be titan slayers, but are any of you really going to do that? First unveiled all the way back during San Diego Comic Con 2009, Battleblock Theater is making a return appearance after showing up on our 2012 list last year. The Behemoth — developer of one of Xbox Live Arcade’s finest multiplayer games, Castle Crashers — first said its next co-op game would land on the service in 2010. When that didn’t happen the press and the public just assumed it was coming in 2011, and the theme repeated itself in 2012 when the game didn’t release then either. The Behemoth never actually said Battleblock would release in ‘2011 or 2012, nor has it said that the game will release in 2013. However, studio co-founder and art director Dan Paladin told XBLA Fans at PAX Prime 2012 that the team feels like it’s “wrapping it up to some degree.” With any luck, 2013 will be the last year we’re anticipating his game’s release. The Binding of Isaac averaged a very respectable Metacritic average of 84 when it arrived for the PC way back in September 2011, and an enhanced version is now coming to Xbox Live Arcade before the year is out. Edmund McMillen, one of two creative minds behind the project, claims that the port “will feature A TON of new modes, bosses, items, playable characters, co-op and a million other things we couldn’t do in the flash version.” We’re no mathematicians, but “a million” sounds like a lot of things. We admit it: this one’s a bit of a stretch for 2013 — or ever, for that matter. Reviews for the first of Krome’s side-scrollers starring a half-human, half-feline bounty hunter weren’t particularly flattering, with it earning a Metacritic average of just 60%, but the developer did officially announce a sequel and confirmed that it was still being worked on as recently as…2010. Blade Kitten 2 doesn’t have a release date, but neither has it been officially canceled. Will there be more cat bounty-hunting on Xbox Live Arcade in 2013? Uhhhh, maybe. How about something more solid after that last entry? It was recently announced that Blood Knights will release on XBLA February 20 for 1200 MSP. Most vampire fiction has the immortals hunting down humans for their blood, but German developer Deck 13’s hack ‘n’ slash game kind of goes in the opposite direction by having man and vampire fight over a vial of vampire blood that has the power to bring demons to Earth, and that sounds like it’d be pretty bad. Developer Zen Studios is stepping back from the silver ball after gaining popularity among XBLA gamers with Pinball FX-2 to work on Castlestorm, a game that plays a bit like a medieval Angry Birds. Knights and other units march forth from the player’s castle towards an opposing one in at an attempt to bash down its gate and eventually topple the castle istelf. XBLAFans was able to go hands-on with Castlestorm at E3 and we came away pretty impressed. 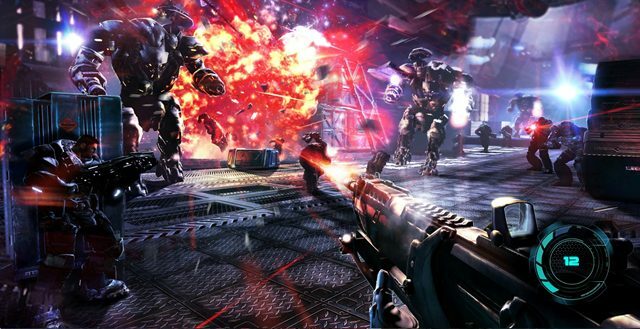 Still want more XBLA titles to look forward to in 2013? Check out Part II of our most anticipated games of the year! Contest: guess the Marvel Pinball announcement, win a Marvel Pinball starter pack **Update** Winner Announced!